Available for free in the Android Market, Google's Androidify turns your phone into a veritable Android Assembly Line. 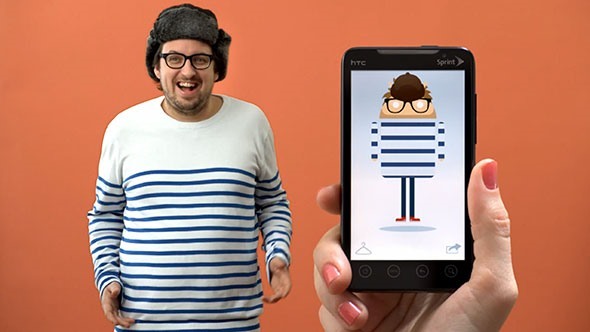 The app lets Android owners create and dress custom Android Robot-style avatars with paper-doll ease. Long and tall? Short and squat? Purple? No matter! Your perfect Android avatar is only a few clicks away.